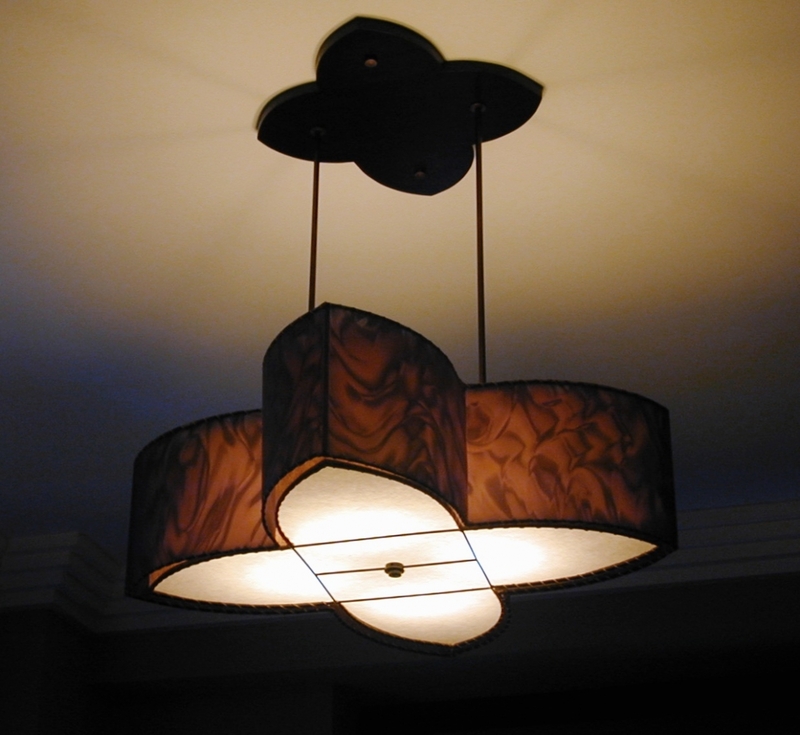 The Lotus is a "double-shaded" lamp. The exterior shade is made from our proprietary, three-dimensional moire material (shown here in steel black + also available in pure white) while the interior shade is a translucent white, hand painted in any specified color ( shown here in Deep Cherry). The final effect is gently swirling, kinetic colors which shift and undulate as you move around the lamp. The stylized "Lotus" design is complimented by a hand carved, mahogany medallion and the lamp has a white diffuser on the bottom side. Shown: 30" x 30" x 10" tall and may be hung at any desired height. May be lamped up to 400 watts. Available in any finish, color combination and size. Designed, individually hand made, signed + dated by Art Donovan.